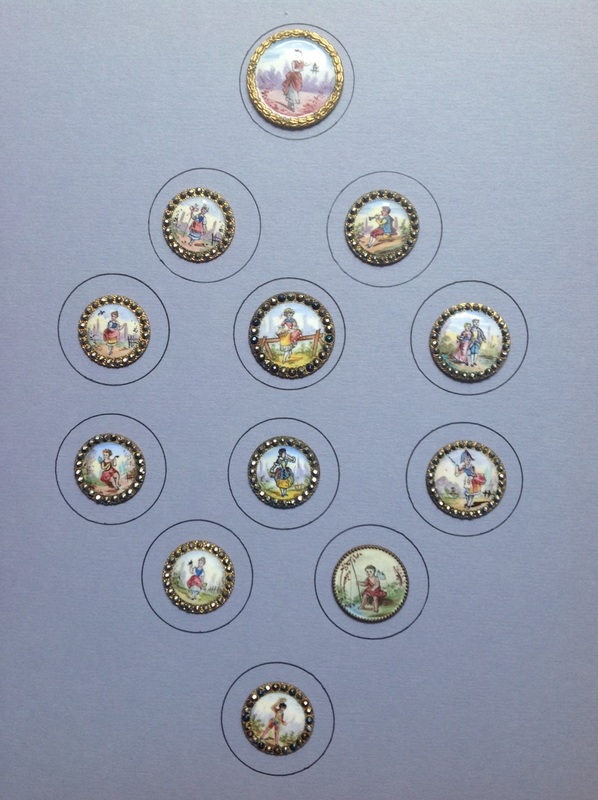 One of the categories for this show is enamel buttons, as on the left. 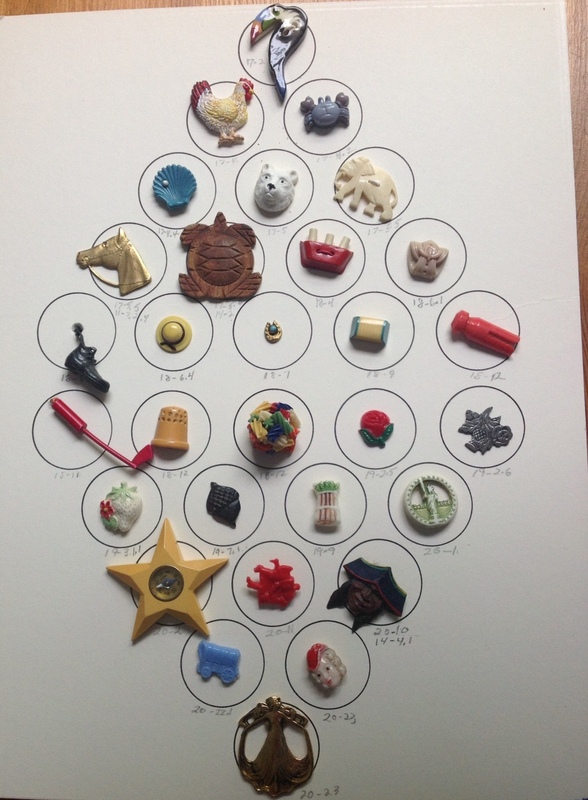 Below, a card of buttons that are are actually in the shape of what they depict: bird, rooster, crab, bear, elephant, flower, thimble, etc. The NJSBS show is held twice a year for New Jersey and tri-state button enthusiasts who enjoy the artwork and history of buttons, including their manufacture and design. “Our shows attract quilters, crafters, antique collectors, reenactors, and those seeking special buttons to wear,” says Lillian Buirkle, president of the 71-year-old organization. The fire hall is at 1396 River Road (Route 29), at the intersection of Route 29 and Park Lake Avenue in Titusville, opposite the Delaware River and D&R; Canal State Park (within easy access to the canal park), a half mile north of Washington Crossing State Park in Hopewell Township, and some five miles south of Lambertville and New Hope, PA. Admission is $2 for adults at the door, free for juniors to age 17. Also that day is the New Jersey History fair across the road in the Washington Crossing State Park. Johnson Frazier, a button historian and dealer, will present a 1:30 p.m. program, “Banners on Buttons,” showcasing buttons that display ribbons and flags in their designs, some as early as the 18th century, along with a brief history about the buttons pictured. Throughout the day there will be a variety of activities, including the judging of button trays entered into competition, an educational display of buttons worn on gloves, and a button raffle.